I have never been legitimately confused by a game before. Hatoful Boyfriend broke through that barrier. 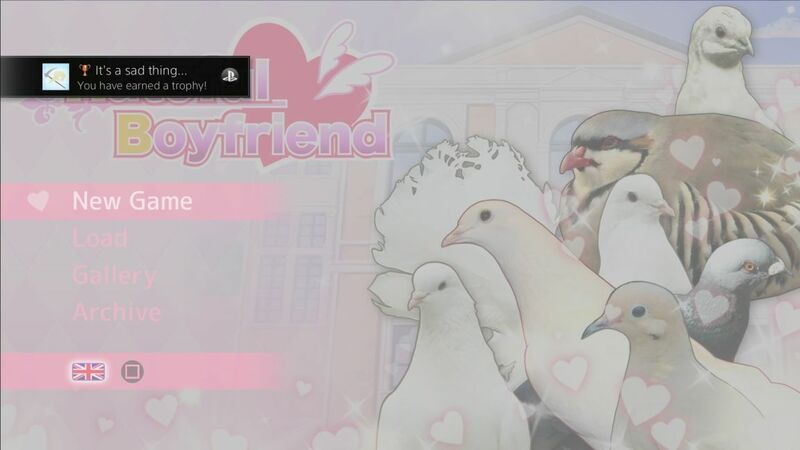 Hatoful Boyfriend is a game I had never seen or heard of prior to the menu on my PS3, but thanks to a quick misread on my part, I took note of it. As some of you may know, in the top right corner of the PS3 home screen, various notifications pop up for current doings on the PlayStation Store. Since I go back and forth between systems, I always pay attention to what shows up there in case something new is out that I’m not aware of. 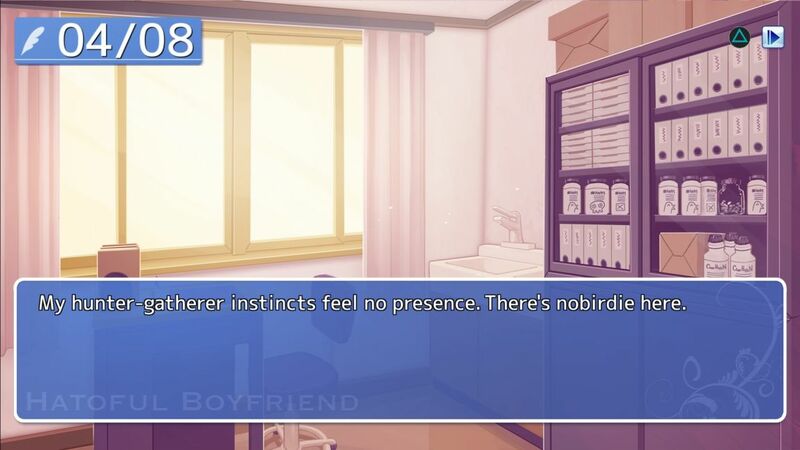 Such was the case with Hatoful Boyfriend, but the only reason I took note was because I thought it said “Hateful Boyfriend.” This made me wonder why anyone would want to play a game called Hateful Boyfriend. 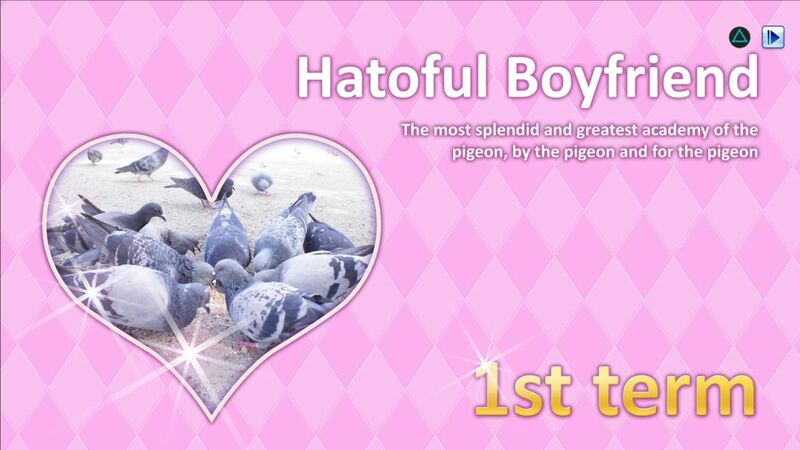 I looked closer and saw it said, not “Hateful” but “Hatoful” so I went to the PlayStation Store on my PS4 to investigate. And hoo-boy did I find a humdinger. Congratulations! You’ve been accepted as the only human student at the prestigious St. PigeoNation’s Institute, a school for talented birds. 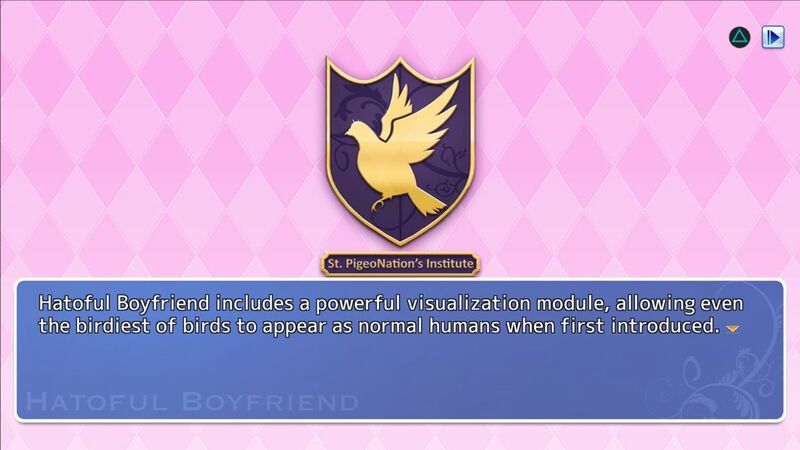 Roam the halls and find love in between classes as a student at the world’s greatest pigeon high school in the delightful Hatoful Boyfriend! Well after reading that, I had to try it out. So this morning, I did. And, as ironic as this is, I have no words. 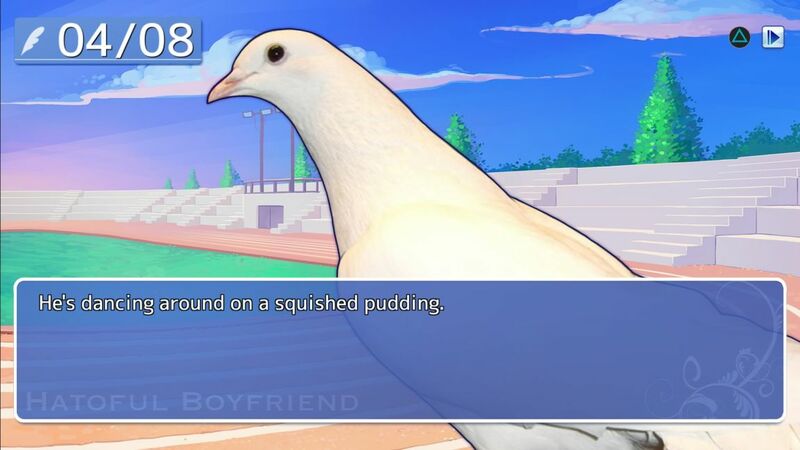 Hatoful Boyfriend might be the weirdest game I’ve ever played. 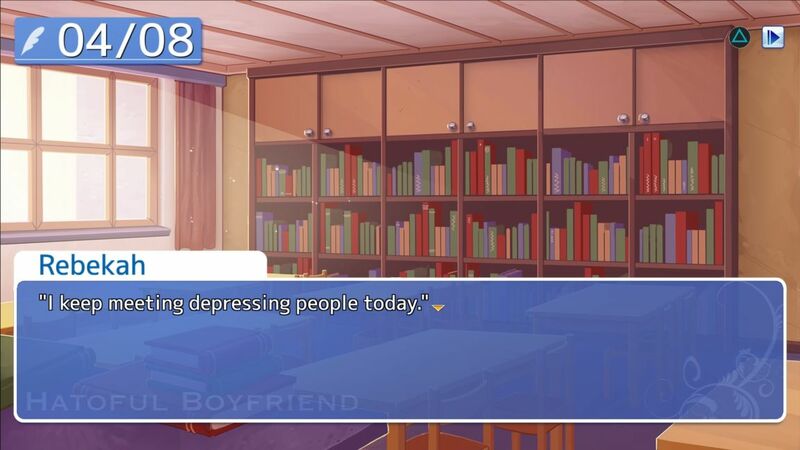 I’m not even kidding (and I played Deadly Premonition). Most of it was passive reading, until a while in I was given a choice of what extra-curricular activity I wanted to pursue. What followed were more seemingly arbitrary choices, but few and far between. I had little idea what I was doing, and even less what I should be doing. Based on certain choices, various stats would go up, but I never knew what those stats meant or how they figured in to the game. I made it through a whole school year in minutes, then found a summer job, only to give it to my best friend. 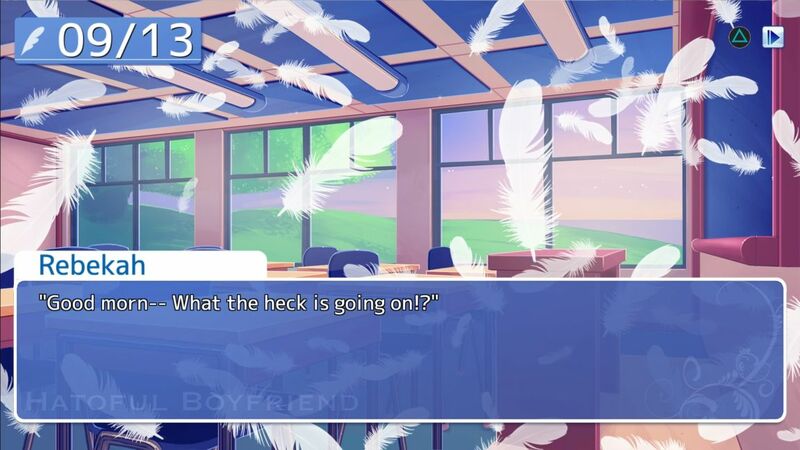 You apparently play as a human, the only one at the school, yet you are supposed to romance birds? Or they are supposed to romance you? When given a choice of who I could spend time with, I chose my best friend bird (it seemed safest), and, after I had started my second year in school, I was suddenly killed by night ninjas. Seriously. It wasn’t clear why. It was just clear I was super dead, super quick. It was an abrupt end to a game I was already baffled by. Honestly. I don’t know how to impart how many times I was staring wide-eyed at the screen in complete incomprehension of what the hell was happening. What I will say is this game presented some of the very best moments for taking screenshots, so that’s what I did. My friends, as a way to ring out the week, please enjoy my time spent in this deeply random game. 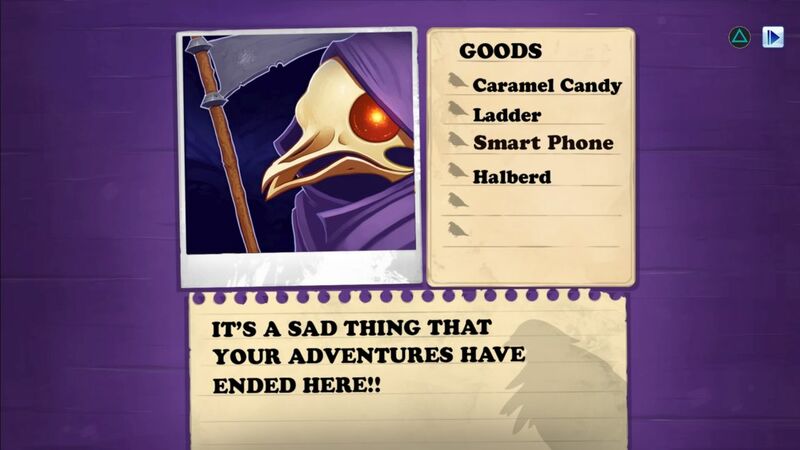 As a side note, apparently there are many, many endings to uncover, though I’m unsure if I will find myself at the bird school again anytime soon to do so. Off to an okay start. A powerful visualization module. Neat. I’m on board. 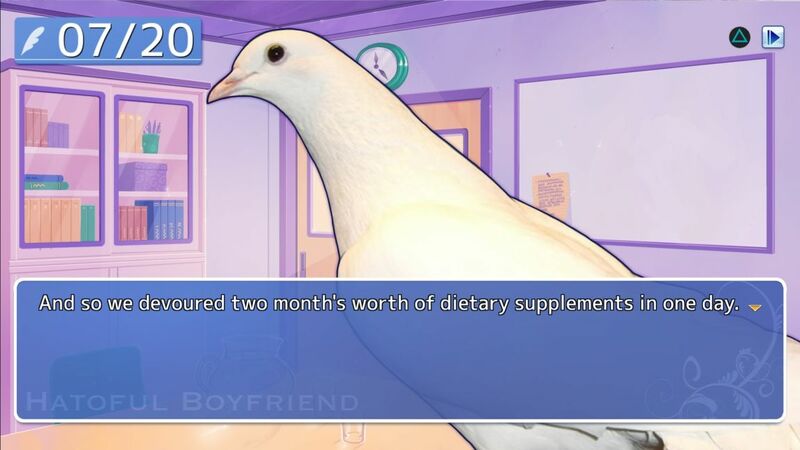 My first term at the fancy pigeon academy. This has promise. That was an understatement. One of those “people” was a sketchy doctor pigeon. Seriously. Of course he is. Why wouldn’t be be dancing on squished pudding? Should I be dancing on pudding, too? It’s true. I had to say something. 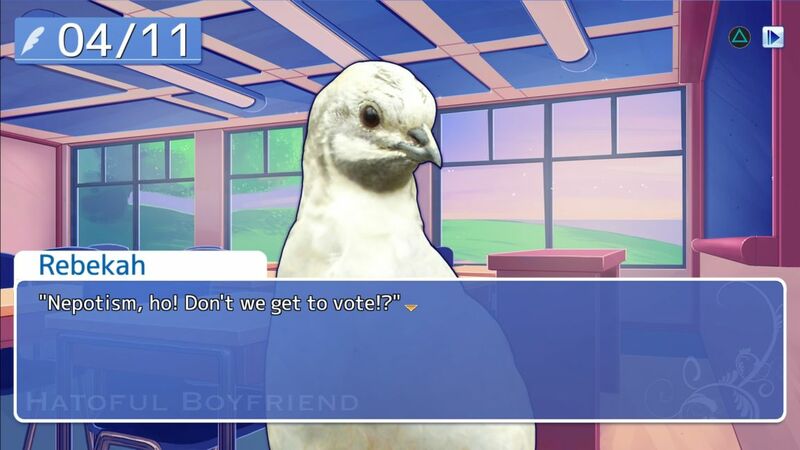 I am glad I was able to stand up for equality among pigeons and one inadvertently perverted human. I don’t often laugh out loud at games but this was the point that the ridiculousness became extreme. This pigeon (the same one who danced on the pudding) covered the floor of this classroom in beans. Turns out it was molting, so, lucky break. Aaand suddenly I’m dead. Seriously. This happened out of nowhere. I had a smart phone? Who was I going to call? And a ladder? What was I doing with a ladder? And isn’t a halberd a battle axe? Why would I have that?! This is one of the weirdest trophies I’ve ever gotten. I have historically laughed at the automatic trophy screenshots on the PS4, but this one is a lovely commemoration of complete avian confusion. I hope you enjoyed my silly trip through the academy of amorous birds. I’m not sure I enjoyed the game, per se, but I certainly found it memorable. I’m absolutely confused by this game. As am I, Colton. As am I.
I played it and I still have no idea what to make of it. Do you know who developed it? I wouldn’t either. It looks like one person developed the game, but Devolver Digital published it. Haha, well, I too noticed the discount and read up on the game. But I didn’t buy it, because it sounded so strange. You confirmed me suspicion, that was a very weird game indeed. What makes it even more of a laugh for me is that I have a blog post prepared to publish later in the week, that might just be too much of a coincidence, lol. As soon as I experienced confusion over the title, and then the description, I knew I had to play it. What a deeply weird experience. Well, this proves that one might still be able to function/develop whilst high or under some type of influence. But it also proves that it’s best NOT to develop while under the influence. Just because one can, does not mean one should lol. I couldn’t stop laughing at the pictures of the pigeons in your screen shots :) It’s so odd! I forgot to even mention the bizarre use of classical music. At one point I met an “evil” doctor pigeon and Dance of the Sugar Plum Fairy played during the entire “conversation.” It was so super weird. Aren’t those screenshots just bizarre?! And I had so many more that I didn’t include! It’s so weird, isn’t it? I think I can safely say I’ll never be giving this one a try. After hearing is discussed on several podcasts I know all I need to know it’s not for me. I am however glad that completely weird, totally unique games can be made. It opens the door for a plethora of unexpected possibilities. Just in case you didn’t already know about the title, when I was in Japan there was a bus line called the Hato Bus. The tour guide explained that “hato” is pigeon, which cleared up the title for me but still doesn’t clear up why a game exists where the human player is trying woo birds. Ha! I can attest that you won’t be missing much other than a very confusing experience. I did NOT know that! Thank you! And who the heck knows. It’s just so bizarre.